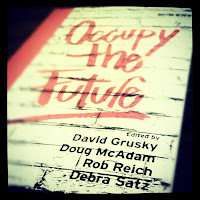 I just started reading a book called Occupy the Future edited by David Grusky, Doug McAdam, Rob Reich, and Debra Satz (all from Stanford University). I got my hands on an "Uncorrected Proof" (thanks to my friend, Wren), which means it's early. The book doesn't actually come out until next month. But that's why I'm telling you about it now - so you can be on the lookout for it. 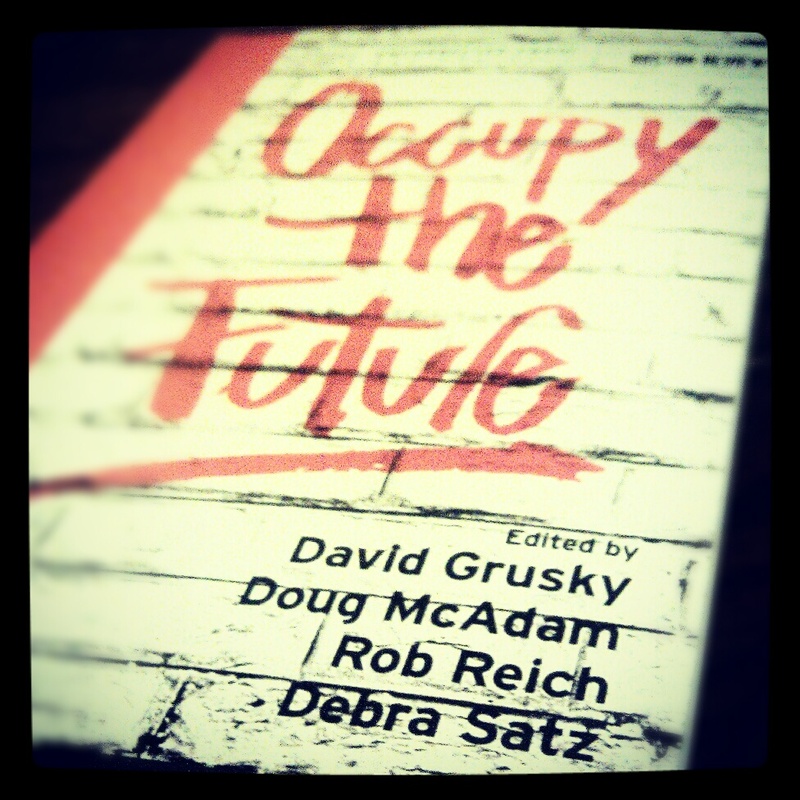 If you're sympathetic to or just curious about the Occupy movement, this book should probably go on your reading list. Each of the authors were participants in the Occupy movement. In 2011, as professors at Stanford University, the authors engaged in an Occupy-inspired teach-in. In preparation for the teach-in, with questions of if and why they should be involved in such a movement, the professors wrote short articles from their various perspectives on the Occupy protests. This book is essentially a compilation of those essays in expanded form - seeking to provide a substantial and credible academic backdrop to the movement which, though diminished in popularity, is still alive and well, having already left a paradigm-shifting mark on the American political and economic discussion. If Cornel West and Tavis Smiley provided a manifesto for the Occupy movement in The Rich and the Rest of Us, perhaps this book can be seen as the academic explanation for its sensibilities. So this is just a head-up... lookout for this book. I've really gotten a lot out of the first half.